Published: Oct. 10, 2013 at 07:15 p.m. Updated: Oct. 10, 2013 at 11:59 p.m. The Chicago Bears' defensive reputation belies their current average of 26.0 points allowed through five games. As Gregg Rosenthal pointed out on Wednesday's "Around The League Podcast", this is no longer a quality defense unless it's producing turnovers. 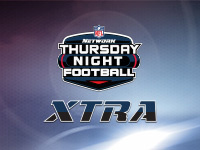 To that end, their ability to produce game-changing plays during "Thursday Night Football" versus the New York Giants took a hit when cornerback Charles Tillman was declared inactive with a knee injury. One of the league's premier defensive backs when healthy, Tillman is the NFL's master at causing fumbles by punching the ball out of the ballcarrier's hands. He had started 53 consecutive games entering Week 6. Defensive tackle Stephen Paea joined Tillman in street clothes, Paea's second consecutive absence. On the bright side, linebacker Lance Briggs (foot, hip) and tight end Martellus Bennett (knee) were given the green light as game-time decisions. Bennett's availability is gravy for Jay Cutler, facing a Giants defense that just joined the 1954 Chicago Cardinals as the only teams in history to allow at least 31 points in each of five consecutive losses to begin the season. The Bears beat the Giants, 27-21.